Everyday new changes are being invoked to make life easier for all. Different Banks in Nigeria, all are just doing their very best to see that banking is made easy and convenient to all banking with them especially their customers. And they have been achieving this by means of developing various ways in which people bank with them; ways like introducing ATM transactions, mobile banking, internet or online banking, mobile money and the very trend on point going about banking on mobile phone, is the use of USSD on any device to transfer without going online or having any sort of internet connection. The very trend started from GTbank when the introduced GTB *737# mobile banking and other banks seeing that it was nice, didn't waste time in implementing such to their service. its now everywhere as it stands. In this post, I will be unveiling the USSD codes for about 14 Nigerian banks you can easily transfer money with and as well carry out other important bank transaction. This should be with any phone you are using at the moment; even if it is Nokia torchlight phone, small tecno phone, or Big Android phones like Gionee M5 etc and it's without internet or any form of using mobile app or even going to ATM machine. It doesn't need all that, just a USSD code and you are done. The steps on how to carry out the transaction will l make much easier for everyone. So follow me step by step..
√ For All Banks-How to Recharge Your Phone Directly From Your Bank Account Without A Mobile App. √ How To Check Your Bank Verification Number(BVN) With Your Phone Be it MTN, Etisala or Airtel. √ How To Check Data Balance On MTN, Etisalat, Glo, & Airtel Network; And How To Stop Data Autorenewal. It may be sounding strange to some people, what USSD code is all about. Whether you know what its all about or not, look down for the meaning. USSD which full meaning is (Unstructured Supplementary Service Data) is a Global System for Mobile(GSM) communication technology that is used to send text between a mobile phone and an application program in the network. Applications may include prepaid roaming or mobile chatting. A clear example for a USSD code is the number you use in recharging airtime/credit, also the one you use in checking your airtime account balance for either MTN, Glo, Airtel or Etisalat (that is *556#, *555*pin# for MTN network). Reasons Why You Should Transfer Using This Codes/Medium/platform? ==>No stress; just dial the codes and follow the instruction voila. ==>Easy and convenient: you can use this to transfer money to a friend that is stranded. And your friend could actually do the same for you. Meaning it could be a life saver when stranded. 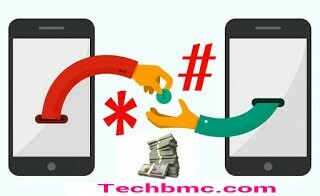 ==>To transfer funds to a friend, using same bank as you or to other bank, all you have to do dial the code associated to your bank (will be given to you below) after which you follow the instructions there after. ==>You need to carry this out on the mobile phone number registered to your bank account. ==>Some banks require registration after which they will generate a pin code for you. Before this service can be activated on your account and linked to your phone number. ==>Just like in most mobile app transfer, transferring money on phone via ussd codes also have a daily, weekly limit but all depends on your bank. ==>This service is free to use. However, transfer charges may apply. Transfer USSD Code For 14 Nigerian Banks! That's all for that, you can still visit here to check all Nigerian Bank USSD codes to recharge airtime directly from any bank account via mobile phone.